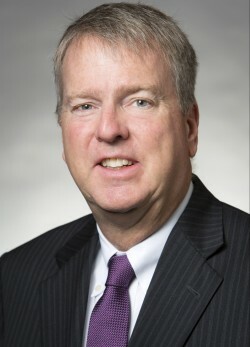 John Wyatt Morgan is Of Counsel with the Wilmington law firm of Heckler & Frabizzio where he has specialized in the defense of Workers’ Compensation matters on behalf of self-insured employers and insurance carriers in the State of Delaware since joining the firm during January 2000. Prior to joining Heckler & Frabizzio, Mr. Morgan served as an Assistant City Solicitor for the City of Wilmington where he concentrated his practice in the area of labor and employment including union contract disputes, grievances, contract negotiations and responding to charges of discrimination. Mr. Morgan also worked for a number of years as a Hearing Officer for the State of Delaware, Department of Labor. Mr. Morgan is past Chair of the Delaware State Bar Association’s Section on Labor and Employment Law. He has been a member of the Delaware State Bar since 1992. He served as a law clerk for the Honorable Charles H. Toliver, IV of the Delaware Superior Court. He received his B.A. degree in economics from the University of Delaware and his JD degree from Widener University School of Law. Mr. Morgan was born in West Chester, Pennsylvania on October 30, 1959. During what would have been his 9th grade educational experience in Delaware, he moved with his parents to a suburb of London, England for a year. He returned to Newark, Delaware and graduated from Newark High School. He presently resides in North Wilmington with his wife, Sharon, and his daughter, Christina. He enjoys an active lifestyle and particularly enjoys running. He is looking forward to competing in his first marathon.